The biggest problems with on-premise PBX systems revolve around manageability, flexibility, and cost. When replacing a legacy system, the basic cost of getting a new system up and running may be the most conspicuous concern. But it pays to look beyond the obvious hard costs of a new PBX / IP PBX and phones. 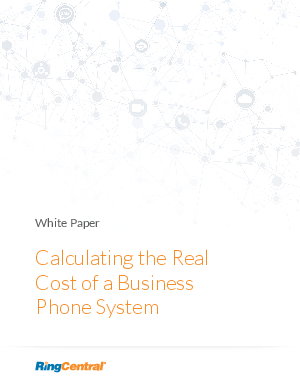 This white paper also describes how a cloud phone system like RingCentral can eliminate many of these hard costs, and decrease the burdens and management complexity that challenge IT resources. In fact, for many companies, the cost savings can amount to 30% to 70% or even higher compared with an on-premise PBX system.